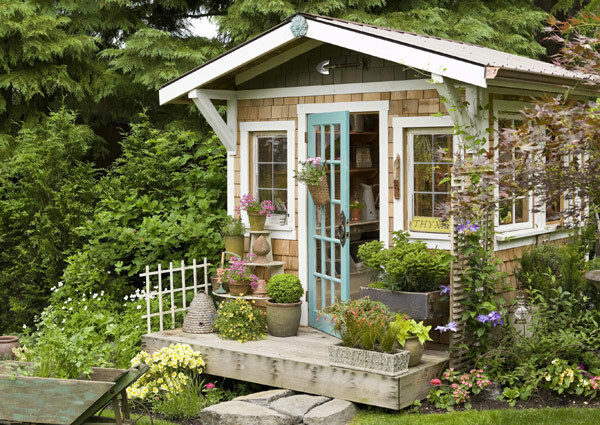 Could a Functional Garden Improve Your Property Values? Anything that we can do to improve the value of our homes is a really good thing. The rush that we get touching up our homes and turning them into something that we can be even more proud to call our own is amazing. But there are little projects that can turn into big investments for your home. One of them that we’ll discuss today would have to be a functional garden. Now, we’re not just talking about a lot of flowers, even though flowers are extremely important. Without flowering plants, bees have no food source and therefore can’t make the honey they thrive on. We need bees in order to keep the food cycle going. So, the garden that we want to build should have more function than just flowers. Growing a “salsa” garden will give you peppers, tomatoes, herbs, and onions. These are all things that go great into a salsa, but that doesn’t mean that you have to stop there. What if you wanted to focus on salad greens as a way of supplementing your groceries? You could do both of these in a garden, if you have enough space. Building a great garden takes time, planning, and resources. This is even more the case when you want to build something functional. For example, do you know what plants you’re going to buy? Even if you have a list, it goes deeper than that. Some plants need full sun, while others need partial shade. You need to buy plants that match your gardening zone for best results. Drainage is going to be another issue that you’ll need to tackle right away. Every plant has a different need for drainage. In other words, it’s all about how packed the soil is. Some plants thrive on a tightly packed soil, while other plants really need room for their roots to branch out without hitting hard packed dirt. You’ll need to do your research on what setup will work best for you. Watering is going to be another issue. If you’re somewhere that has drought regulations, you’ll need to abide by those. But there are people that grow food in drought-stricken conditions all the time. The path that you’re about to embark upon isn’t new, so you should find that comforting. Many plants need a lot of water to grow. If you’re on a budget, you’ll need to adjust your water bill accordingly, or start collecting rainwater. These tips will help you build a garden that you can enjoy for many years to come. But they’re just the tip of the iceberg. If you’re still looking for why a garden matters, it’s simply best to do the little things that can have lasting impact. Now, if you’re new to gardening it’s not like that it’s going to be absolutely effortless. But there are plenty of books and tools on the market designed to make your first garden a lot easier to deal with. The next buyer that comes along may really enjoy having a functional garden right at their fingertips. Instead of just talking about the garden as a flat and uninteresting item, jazz it up. Talk about its potential. Discuss the different plants that can be planted there. The better picture you paint for the buyer, the more that they’ll see how benefit it is. Be sure that you are looking at the bigger picture: you’re making your house feel like a buyer’s future home, inside and out. As long as you think about that, there’s no reason why you wouldn’t be able to sell your home in the future. People are always buying real estate, even when the media would otherwise allow you to believe. Good luck to you!